Construction has started onsite at the East Wing Cladding Project for St Thomas' Hospital in Lambeth, London. The current 1966 tower suffers from water infiltration and excessive solar gain and needs to be modernised to bring it in line with the best of current healthcare facilities. Our competition-winning scheme provides a new glazed curtain walling system that creates two new multi-storied atria. This feature is essentially a protective glass case which will be present over the entire building, dramatically improving its environmental performance and enhancing its appearance. Existing facades behind this are preserved to avoid disturbance to hospital functions which will continue throughout the construction period. The project will be completed in early 2014. 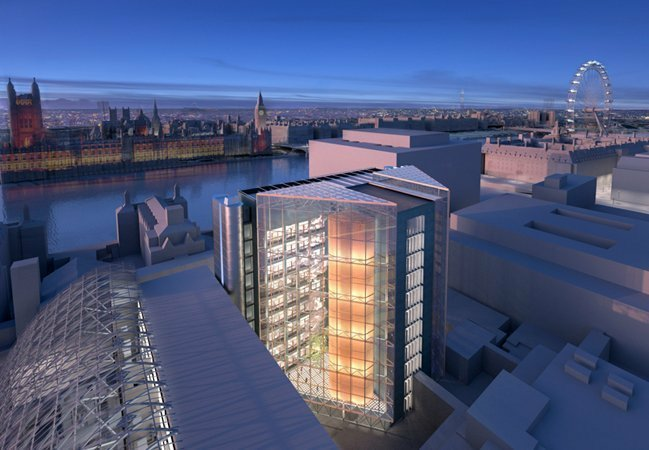 Hopkins are working with ISG and Arup to deliver the project.